How Do Failure to Warn Cases Work? We go to hospitals and doctors to receive the help we desperately need to recover from injuries and illnesses. However, more often than many of us realize, instead of helping patients recover from an injury or ailment, healthcare facilities and medical professionals make errors that lead to patients suffering further injury or even death. When a patient is harmed due to a mistake on the part of a hospital or medical professional, it is known as medical malpractice. One type of medical malpractice that can result in devastating injuries, illnesses, or death is failure to warn. What Is Considered Failure to Warn Under Medical Malpractice Law? Failure to warn is considered to have occurred if a medical professional fails to inform a patient of the risks associated with a procedure, treatment, or test, and does not obtain a patient’s informed consent before the patient undergoes the treatment, procedure or test. If a procedure, treatment, or test has a known risk for causing serious damage, the doctor must inform the patient of this risk. Obtaining informed consent can be verbal or written depending on the type of procedure, test, or treatment being proposed to the patient. If the patient would be undergoing a minor procedure, such as a blood draw or standard test, then verbal consent is generally acceptable. However, if a patient would be undergoing a complex procedure, treatment, or test, like surgery or an experimental treatment, then written consent is required. What Should I Do If I Was a Medical Malpractice Victim? Medical malpractice can differ depending on the state where the incident occurred. Therefore, if you or a family member was the victim of medical malpractice, such as failure to warn, you need to speak to a medical malpractice attorney as soon as possible. An experienced attorney will know whether your case meets the criteria to be eligible as a medical malpractice claim in your state. However, that is not the only reason to get in touch with a lawyer right away. The hospital and medical professionals at fault will immediately begin gathering evidence and building a case to avoid being held responsible for your injury or illness. Therefore, you need to talk with an experienced lawyer about your rights and options, so that you and your legal team can begin gathering evidence and building a case to secure the compensation you and your family will need to cover your hospital bills, future medical expenses, physical therapy, loss of income, rehabilitation, and living expenses. How Do Medical Malpractice Cases Work? If patients suspect they have been the victim of medical malpractice because the hospital or doctor failed to properly warn them or obtain their informed consent before performing a test, procedure, or treatment on them, then they may be able to file a medical malpractice claim. After speaking with and hiring a medical malpractice attorney, the patient and his or her lawyer will need to gather evidence and build their case as quickly as possible. To build a solid case, they must prove that the test, procedure, or treatment that the patient underwent led to the patient’s injury or illness and that the patient underwent the test, treatment, or procedure because his or her hospital or doctor failed to warn them of the risks and/or failed to properly obtain their informed consent. Also, if the patient did not undergo the test, procedure, or treatment because the hospital or medical professional failed to warn them of the risks of refusing, they must prove that not undergoing the test, procedure, or treatment led to their injury or illness. Would the information provided to the patient prior to undergoing the procedure, treatment, or test have been sufficient for a reasonable person to make an informed decision? Would another medical professional or hospital have been able to competently inform the patient of the risks associated with the test, treatment, or procedure? Who Can Be Held Accountable for Failure to Warn? Those at fault for a patient’s medical malpractice injury or illness after failing to properly warn and obtain informed consent from the patient can include healthcare facilities, doctors, nurses, and other medical professionals. 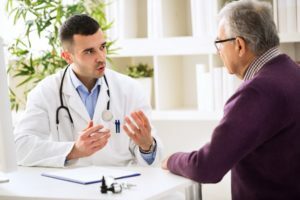 Should I Speak with a Medical Malpractice Attorney? 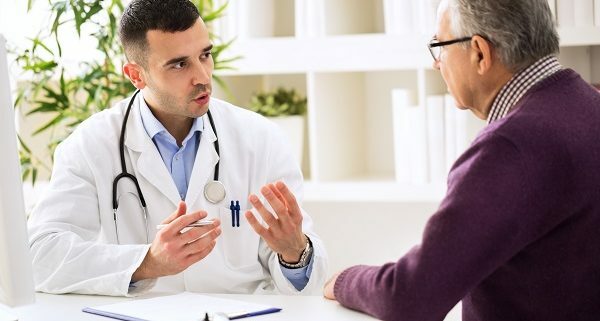 You should talk to a medical malpractice lawyer as soon as possible if you believe that a failure to properly warn and/or give informed consent regarding a proposed procedure, test, or treatment led to serious harm. You may be eligible to recover compensation for the harm you suffered because of a hospital or a medical professional’s negligence. An experienced medical malpractice attorney can explain your rights, analyze your situation, tell you whether you have a valid case. He or she can also answer your questions and discuss the best options for you and your family moving forward. In addition, many experienced lawyers will meet with medical malpractice victims and their families for free to discuss their situation.